You may have already heard of VMG when it comes to sailing or kiteracing. But what does actually VMG actually stand for? 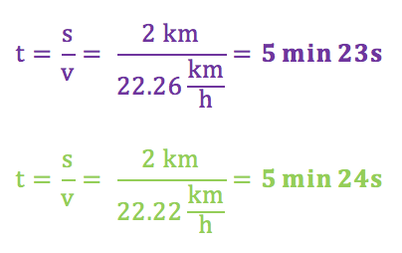 Not only will we explain you why VMG is important in kiteboardracing but also how to calculate your own VMG speed. In sailing and kite course racing, the main goal is to be faster in the upwind and downwind course than competitors. On the upwind course, some athletes try to ride the best possible angle against the wind, but on that course only low speed is possible. Other riders sail with higher speed, but with a worse angle. So now we would like to know which strategy is more successful. 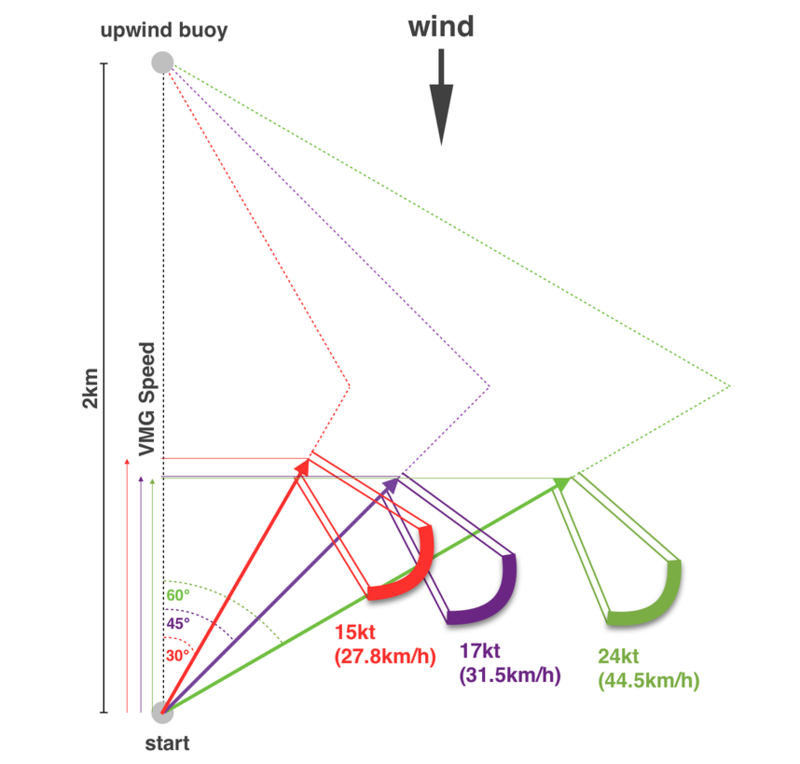 To identify which rider reaches the the upwind buoy faster we need to know how long the speed component in the direction of the true wind is. This speed component in the direction of the true wind is known as VMG (Velocity Made Good), which is a quantity that includes the speed and the angle at the same time. Three athletes started at the same time with different angles and different speed levels. The distance from the start to the upwind buoy is 2km. To identify which rider reaches the the upwind buoy first we need to calculate the VMG of each rider. The rider with the fastest VMG will win.